Sebastian’s Italian Restaurant in Windsor is one of the newest restaurants to open. Offering a simple menu of freshly cooked Italian dishes – great Pizza, Calzone, a great Fish Stew and many other freshly prepared Italian dishes. Run by husband and wife team alongside their highly experienced chef, Sebastian’s restaurant has been a labour of love, taking almost 5 months to refurbish the premises (previously a toy shop called Hawkins Bazaar) ripping out all of the old fittings down the bear brickwork and then skillfully plastering and re-fitting the place so that it now feels quant, authentic and homely. The centre-piece of this lovely restaurant is this real wood burning pizza oven which has been cleverly built-in to fit in with the design of the restaurant. 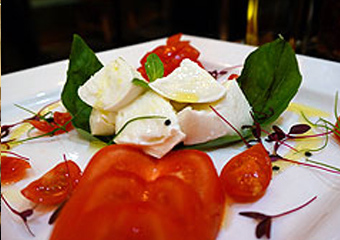 Lovely Goats Cheese Salad is a great starter or Buffalo Mozzerella with Tomato and Basil which was on the Specials Board when we visited. The chef also prepares a mean fish stew which has prawns, mussells, clams and various other yummy secret ingredients, served with Garlic Bread.